Management Science and Engineering is a first-level discipline in management science category, which comprehensively utilizes system science, management science, mathematics, economics, behavioral science and engineering methods to solve management issues in social, economic and engineering areas with the combination of information technology. 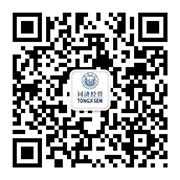 Management Science and Engineering of Tongji was authorized to confer doctoral degrees from 1986 (the 3rd batch, originally named as Management Engineering) and was promoted to be an official first-level doctoral program of Management Science and Engineering in 1998. Its post-doctoral station was founded in 1999. It was elected as Shanghai Municipal Key Discipline in 2007, and was ranked as A+ discipline in the 4th round evaluation of the National Ministry of Education in 2017, achieving a first place in China. Over the years, benefiting from the engineering background of Tongji University, Management Science and Engineering has significant international influence in the field of Engineering Management, Service Operation, Information Management and Traffic Management. Meanwhile, it has been inheriting the excellent tradition of Tongji University, staying pragmatic as well as innovating, developing good academic atmosphere for talent cultivation, as well as pursuing in-depth overseas partnerships in scientific research cooperation. It has become a comprehensive research platform that undertakes key projects of the Ministry of Education, the Ministry of Science and Technology, National Natural Science Foundation of China, and National Planning Office of Philosophy and Social Science.